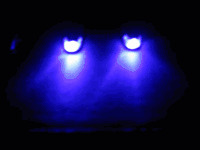 Streetglow LED Washer Nozzle Lights are the hottest neon accessory on the market right now. 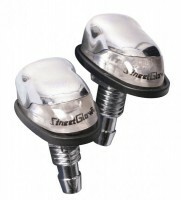 Street Glow offers the highest quality washer nozzle neon lights on the market. Don't buy a generic brand that will stop working in a few weeks. 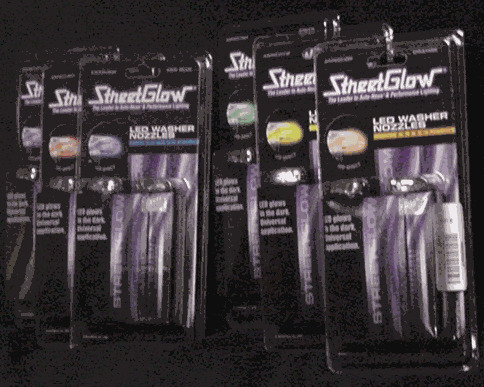 Street Glow stands behind all of their products offering no hassle warranties on Streetglow LED Washer Nozzle Lights. 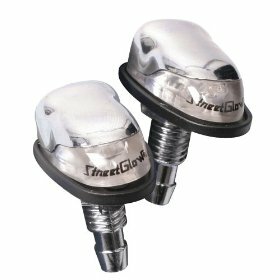 Simple 2 wire hookup for the LED lights and your windshield washer fluid will spray through these nozzles just like your original ones (if not better).